Healthy Balance When Keeping Your House Clean? Sterilized or Simplified: What’s The Healthy Balance When Keeping Your House Clean? Keeping your house clean and tidy is just as important for your health as it is for making sure your home looks good. Keeping the home environment free of harmful contaminants and germs is important for preventing illness and maintaining a dust, dirt and hair free environment means reducing allergies and airway irritation that can reduce our quality of life. But how clean is clean enough, and is there such a thing as too clean? With more science based evidence emerging about the benefits and drawbacks of different cleaning methods and products, it’s important to consider the best way to keep you home clean for you and your family’s health. What Are The Dangers of a Dirty Home? A dirty, messy home is not just a hazard to your sanity; it can also be detrimental to your health. While having a lot of clutter, disorganization and dirt in your home can lead to increased stress; messy and unclean areas can also be breeding grounds for bacteria and viruses, household pests and accumulate allergens that damage health. As the area of food preparation it’s probably not surprising that the kitchen can be a danger area for germs to spread. Raw meat and unwashed fruits and vegetables are sources of bacteria that can enter your home, while pests such as weevils and moths can be brought in via dry products like rice and flour. When a kitchen is left untidy with food scraps around, this can attract mice, rats and cockroaches to the area, which also spread disease. 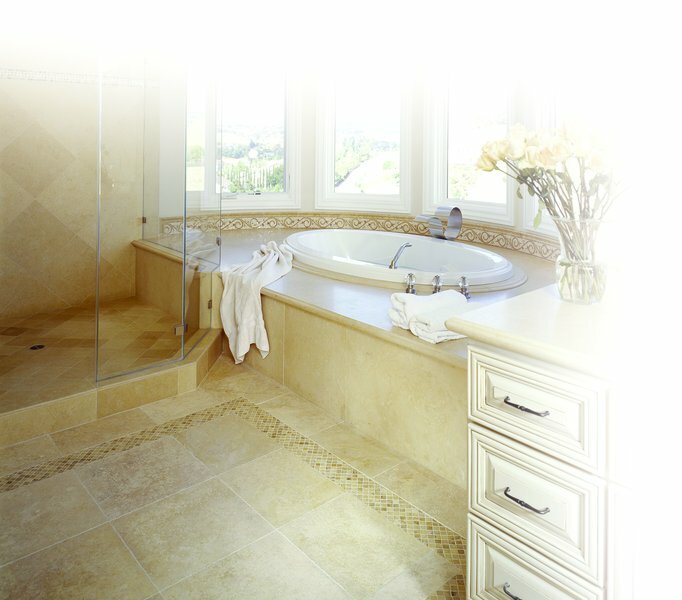 The bathroom is another room in the house where germs and bacteria can spread easily without adequate cleaning. Grime and scum can build up on bathroom surfaces in the sink, shower or bath and harbour harmful organisms such as bacteria. Another side effect of an unclean and unventilated bathroom can be the buildup of mould in the roof or the walls, which can be detrimental to breathing and those with allergies. If you have rooms with carpeting, bedding, sofas or curtains such as the bedrooms or living room, you could be exposing your family to harmful allergens. Without regular vacuuming and professional carpet cleaning, dead and living dust mites, along with their droppings can build up in these soft surfaces. These surfaces are also a trap for sweat, skin flakes, hair, pet dander and other free floating dust and dirt, and all of these can trigger allergies and life threatening asthma attacks if left uncorrected. Are There Dangers in A House That’s Too Clean? In some respects there are dangers in a house that’s too clean. Excessive cleaning is not only time consuming, it can also ‘over-sterilize’ the house, creating an environment that’s unnatural for us to live in and can also trigger health problems like allergies. Anti-bacterial products can contribute to antibiotic resistance, thyroid hormone disruption, an increase in allergies in children as well as being bad for the environment. Therefore the decision to use these product should be left for the educated professionals with adequate training. Keeping a house completely free of all germs and dirt can cause an increase in the development of allergies in children brought up in such an environment, as it prevents the development of a healthy immune system. A small amount of exposure to germs and allergens can help to prepare and build up the immune system without overloading it. It’s important to keep the home clean with a weekly once over and daily cleaning of high-risk areas like kitchen preparation areas and bathroom if necessary without overdoing it. While regular vacuuming and cleaning of hard surfaces is recommended, it can also be useful to not overdo it during the week, but receive a more thorough professional cleaning more frequently. Professional carpet and upholstery cleaning, as well as tile and grout cleaning can remove deeply ingrained contaminants and keep your surfaces looking like new, without overdoing cleaning on a weekly basis. Professional cleaning should be done at least once a year, but twice a year is recommended for maintaining the highest quality level of balanced cleaning without overdoing the cleaning day to day. Author Bio: Cara is a writer, blogger and reviewer, specializing in transforming accurate research into exciting writing. Originally from Sydney, Australia, she now travels the world exploring new cultures and lifestyles.